Propane is a gas at normal temperatures and pressures but is stored under moderate pressure (150-200 psi) where it becomes a liquid. It is a clean-burning fuel, has a high energy density, and is readily available in the US. It is the 3rd most used vehicle fuel behind gasoline and diesel on the planet. (It is fairly commonplace to find light-duty propane vehicles running around European countries and in Asia.) LPG, LP-Gas, Autogas – all these are different names for propane used as a fuel. LPG stands for Liquefied Petroleum Gas. Example fleets that use propane in TN: University of Memphis; cities of Kingsport, Knoxville, Jackson, Chattanooga & Sevierville; Great Smoky Mountains National Park; Clarksville-Montgomery County & Morgan County school buses; Groome Transportation. Most popular propane vehicles in Tennessee: Police cars, work trucks and landscaping mowers. Why would a fleet want to use bi-fuel propane vehicles? Bi-fuel vehicles offer the benefit of allowing the driver/vehicles to venture anywhere, anytime. Since the vehicle can operate on gasoline while away from its home operating area, the vehicle isn’t restricted to only being able to refuel at home or where they can find propane on the road. Propane is produced from liquid components recovered during natural gas processing. These components include ethane, methane, propane, and butane, as well as heavier hydrocarbons. Propane and butane, along with other gases, are also produced during crude oil refining. Approximately 85% of the propane used in the U.S. is produced in the U.S. There are light-, medium- and heavy-duty vehicles that can be powered by propane. Most propane vehicles used in the U.S. today are either bi-fuel or dedicated propane, and most are converted to bi-fuel propane using conversion kits like those that ICOM North America and Alliance Autogas offer. Applications include a wide variety of vehicles like cars, pickup trucks, forklifts, transit and school buses, delivery trucks, trolleys and delivery or passenger vans. Propane is also frequently used to replace gasoline in smaller applications, such as commercial lawn equipment like zero-turn and walk-behind landscaping mowers, and is growing in use as a golf/turf applications like for mowing golf courses (these are reel-type mowers). The Propane Green Autogas Solutions Act (“Propane GAS Act”) of 2011 offers significant economic growth, environmental and energy security benefits to the American economy, according to a study by the National Propane Gas Association. The study projects that the Propane Gas Act’s impact on jobs and the economy will be significant. The growth in propane vehicle sales and use created by the tax credits will generate an increase in economic activity that peaks at between $4 billion and $5.7 billion per year in 2016. That translates to between 30,000 and 42,000 new jobs created by 2016. Propane is an inherently clean-burning fuel due to its lower carbon content. When used as a vehicle fuel, propane can offer life cycle greenhouse (GHG) emissions benefits over conventional fuels, depending on vehicle type, and drive cycle. In addition, using propane in place of petroleum-based fuels may reduce some tailpipe emissions. Because propane is a low-carbon fuel, a switch to propane in these applications can result in substantial reductions of hydrocarbon, carbon monoxide, oxides of nitrogen, and greenhouse gas emissions. What are the emissions reductions gained from propane? Jonathan Overly of Tennessee Clean Fuels and Clarksville-Montgomery county School System Director Millard House II discuss the the system’s addition of 15 new propane school buses and the benefits. Fleet Manager Steve Hightower and Mayor Dennis Phillips explain the success and vision of Kingsport’s propane vehicle program. Now up to 25 vehicles, they are the largest propane fleet in the state of Tennessee! The Propane section on the AFDC Website – Great starting point in learning about propane opportunities and technologies. The Consumer Energy Center – All about propane as a transportation fuel. Sign-up for our newsletter that will you keep you up-to-date of alternative fuel ongoings in Tennessee! We use ConstantContact for email and contact management. Need to translate this webpage? Try Google translate here. La versión de inglés a español está aquí. Jonathan and Daniel are ready to provide anything you need to get you started on your alternative fuels journey. Which alternative fuels / technologies interest you? Select as many as you'd like. 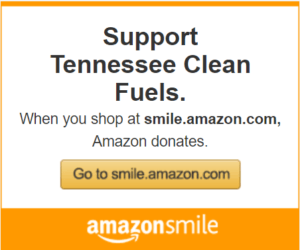 Sign-up for any TNCleanFuels email list below! Sign up to get interesting TNCleanFuels news and updates delivered to your inbox.